But not on the PC? 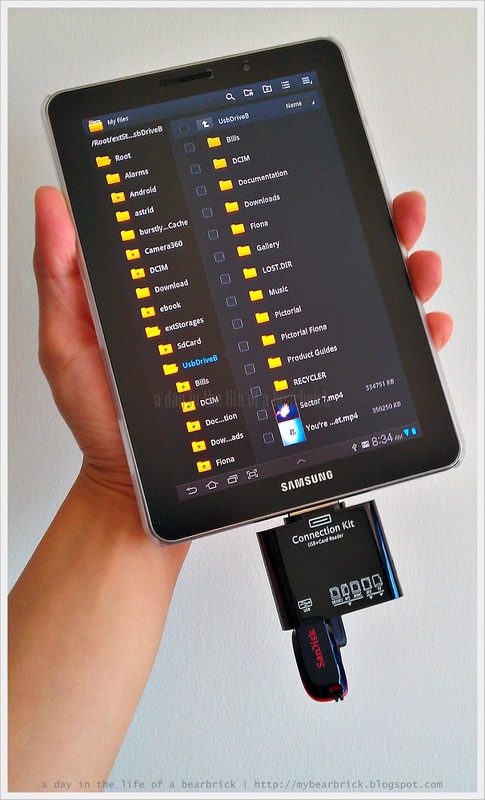 Yes you can with Samsung Galaxy Tab 7.7! In fact, this works on all of Samsung's Galaxy Tab series. You can now access your files any place, any where, any time! Edit them, attach them, send them! 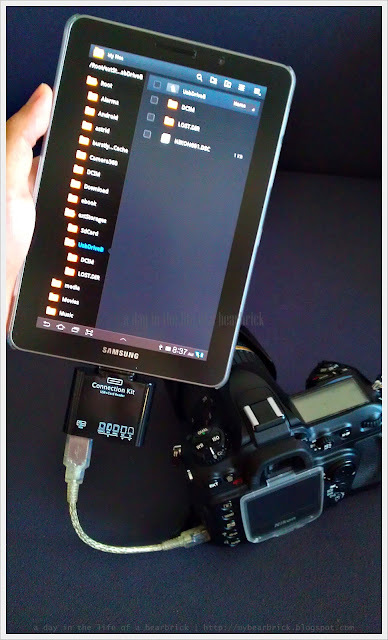 Samsung Galaxy Tab serves as a USB host for direct connections to your cameras. 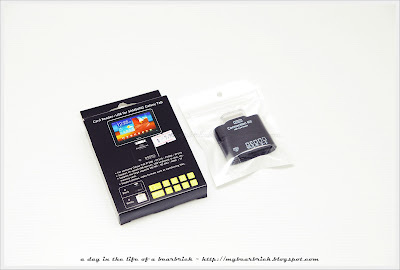 I forked out S$38 for a rather useless iPad Camera Connection Kit! so I reckon a 3rd-party one might work, and it did! That cost me only S$7.90! Not to mention that it was quite well made! It supports USB devices and memory cards. Now, isn't this what you really wanted? iPad users, including myself, "Can you handle this?" If you like to get a Samsung Galaxy Tab 7.7, read my review first. If you have never been to Spain and want have a taste of authentic Spanish cuisine, you have to visit My Little Spanish Place along Bukit Timah Road. This restaurant is conveniently located beside Coronation Plaza and can be easily accessed by driving and public transport. Thanks to Spanish chef Maria, we get to relive the gastronomy experience during our trip to Spain! The restaurant serves churros as desserts, while the Spaniards have them for breakfast. I thought I should start mine as starters. These crispy and tasty doughnuts sprinkled with cinnamon and sugar are good itself or dunked into hot chocolate. I love those that I had for breakfast in Madrid. The national beverage of Spain is a must-have with any Spanish food. A savoury pie of egg omelette, potatoes and onion. A brilliant blend of savoury marinated anchovies and sweet tomatoes on a crispy bread. Tasty sauteed mushrooms topped with cheese. A char-grilled skewer of marinated pork fillet and bell peppers. The most favourite paella in Spain has to be Paella de Marisco. No langoustines here, but prawns, mussels, squid, fish served with moist and soft baked saffron rice. Maple-flavoured ice cream served with a chunk of meringue. It is not easy to find authentic Spanish food in Singapore and My Little Spanish Place has done an excellent job doing so. Arriving in the restaurant, I almost had a feeling that I was back in Spain! The food has been faithfully kept to its original style and flavor. For those who still naively thinks that Paella is like briyani, time for you to try it out! For first-timers, go easy on ordering of tapas as they tend to be quite filling and salty, and make sure you order a Paella. I would personally go for Fideua, it is basically a Paella which is cooked with short noodles instead of rice. Fideua is a Catalan dish and not easy to find in Madrid or Sevilla. My Little Spanish Place gets two thumbs up from me! Thanks to wife who booked this restaurant though restaurant week. so the developer had to pain-stakingly take down the building in bits and pieces. How did they manage to haul the two machines up onto the building? this is a hands-on experience on the ergonomics of handling both the Galaxy Tab 7.7 and iPad. If you are deciding to buy the Galaxy Tab 7.7 or iPad, and one consideration is size and weight? Palm used to be the "godfather" of PDA that fits neatly in the palms, but these have now evolved to our current smartphones. Tablets are never meant to be palm-held devices, but Galaxy Tab 7.7 still fits in a man's palm while the iPad is never meant to. Tablets are not meant to be operated single-handed like smartphones. Galaxy Tab 7.7 is a rather decent size and weight for single-handed operation. You can get away with 70% of the task single-handed. However, thumbs can never cover the while keypad during input. The iPad is a joke to be handled single-handed, and risky due to its weight. Galaxy Tab 7.7 is comfortable for two-hands operation in portrait mode and never felt to cramped. iPad is a tad to wide for small hands, however, you can always switch to "Split" keypad. What is the best size for a tablet? Should you want a bigger screen for more viewing space? Do you want a smaller package to be handled with comfort and easily? My vote has to go for iPad for a more comfortable viewing. However, I am very satisfied with viewing comfortably on the Galaxy Tab 7.7. I do not have to zoom in to properly read an A4 pdf file. The lightweight and size allow me to carry it single-handed for long durations, while my free-hand can still scribble with a pen. I can never do that with an iPad. On a side note, running a 20MB pdf file had always been laggy on my HTC Desire HD, but overall the speed on the Galaxy Tab 7.7 is as smooth as on iPad iBooks app. This is really subjective. It all depends on personal preference. For now, the Tab 7.7 gets my overall thumbs up! If you didn't know AsiaRooms.com has been providing great discounts for your accomodations at popular destinations. AsiaRooms.com has now not only revamped their website as well as the logo (do you remember the cartoon man with a Vietnamese straw hat?). AsiaRooms.com has expanded their portfolio of accomodations beyond Asia to Australia, New Zealand, Europe and the Middle East! AsiaRooms.com goes beyond the 1st-tier cities in these countries and into 2nd-tier states as well, to make sure that you get taken care of, wherever you go! Say good-bye to bed-bugs ridden pensions that were heavily reviewed by Phantom reviewers. The genuine reviewers programme by AsiaRooms.com ensures that you get the good, the bad, the ugly. The mobile application on your smartphone allows you to track your bookings wherever you are. Make sure you check-in to AsiaRooms.com for frequent fire sales! Do you want to win trips to the region and review 12 hotels for free? 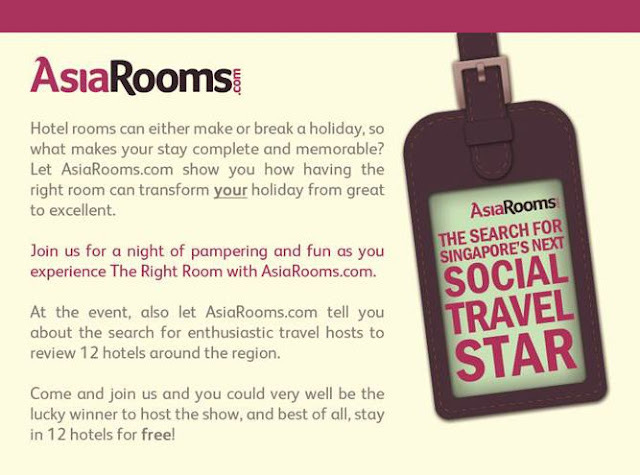 AsiaRooms.com is looking for the next Social Travel Star! Simply complete a 3-min video anywhere and tell them why you deserve to be the next Social Travel Star! Thanks to the good people at AsiaRooms.com for the special invite to a night of pampering and fun at Klapsons Hotel, Singapore. A limousine ride was arranged to pick us up at the heart of Raffles Place. Getting into the limo wasn't exactly comfortable, but its fun getting the star treatment! The organizers had us pampered in a mobile spa. I got my manicure and shocking pink colored! Get ready your camcorders and start filming! Be the next Social Travel Star! Remember to pop by AsiaRooms.com for your next travel or Staycation booking! The Limited Edition Box Set is a must-have for any diehard fan! I am glad I did not settle for any other versions but this! Next month will be their first-ever Singapore leg of Asia tour! I should prepare myself for what to expect before I attend the concert here in Singapore! There is not better way to hold the preview in the heart of my living room! Supported them since they started, never got a chance to attend the concert, now it is time! 20 years was sure a long wait, but good things are worth waiting! Thanks to Edna for helping me score this direct from Japan!